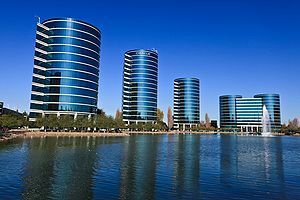 After a huge run up in the Nasdaq, Oracle has lagged over the past 6 months and I believe that it is starting to get footing and will climb higher…I am a buyer of the stock under $29 a share and I have a $37 twelve month price target on this Tech stock…It is definitely a great stock to park alot of cash into, especially if the markets get very volatile again. 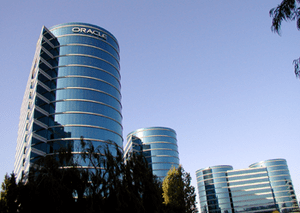 Any pull backs in the stock are excellent opportunities for long term investors to add to their core positions in Oracle shares. I am watching the Call Options on Oracle very closely and have been monitoring the stock for several years…Remember, Options take patience/precision and are not suitable for all investors. I often cost average my purchase of Options contracts, just like I would buying shares of a company. I rarely ever back up the truck all at once when buying Options contracts because I do not have a crystal ball that perfectly predicts short term bottoms in stocks and overall market indexes. So what am I buying?! Options honey?! Trade#1: I am looking at buying the Oracle (ORCL) March 16, 2012 $30 strike Call Options for .20 cents a contract. 100 shares per Options contract x .20 cents= $20 per contract plus trading fees. Attached is the Mar 16, 2012 expiration Options chains for Oracle Corporation courtesy of Yahoo Finance: http://finance.yahoo.com/q/op?s=ORCL+Options. For $1,000 plus trading fees, I can purchase 50 contracts on ORCL with a $30 strike price. If the stock trades to $31 in the next 3 weeks, my 1k will be worth over $5k. My goal is for the stock to trade to $32, and 1k will be worth 10k for example…I believe ORCL is in an uptrend and if it breaks $30, the stock will run quickly into the low 30s. Good luck to all of the Oracle Bulls!! Remember that options are high risk financial instruments and are not well suited for all traders or conservative investors. Please see the optionshoney.com disclosure and please consult your investment advisor before buying or selling any options/equity securities. Trade#2: For the longer term bull on Oracle(ORCL), I would think about buying the ORCL Sept 21, 2012 expiration $31 strike Call Options for $1.35 a contract. Attached is the Sept 21, 2012 expiration Options chains courtesy of Yahoo Finance: http://finance.yahoo.com/q/op?s=ORCL&m=2012-09. If the stock trades to $35 by the September expiration, you will almost triple your money…Stay tuned for more options action at Optionshoney.com.